While dropping off Craig's bike for some last minute bike maintenance in Hermanus (I don't get surprised anymore when things like this happen) I saw a poster on the bike shop window advertising a race in Caledon. Something about the poster got me, but I couldn't put my finger on it - and then it hit me. It was a photo of a Dirtopia event and the sun was shining.Very rare occasion indeed. 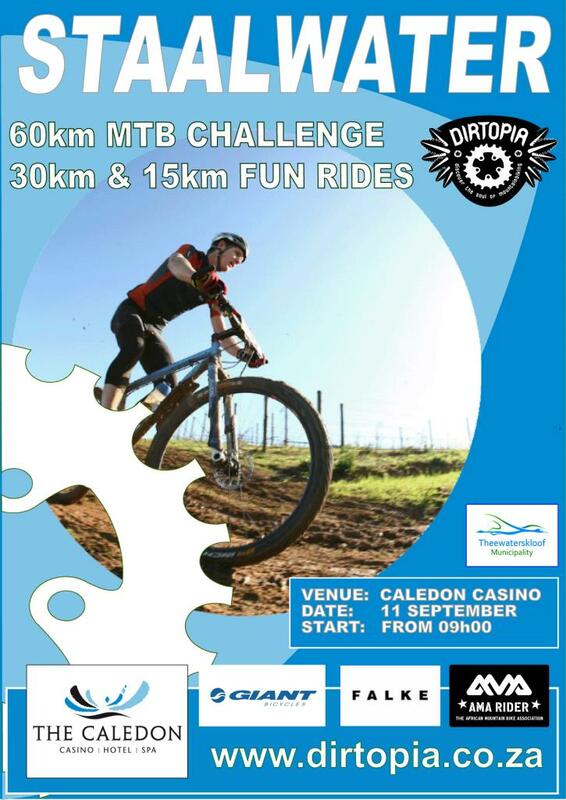 Now I have to go and do the Dirtopia Staalwater Challenge on the 11th of September.